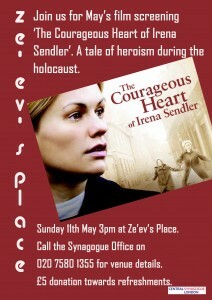 Join us on Sunday 11th May 3pm at Ze’ev’s Place for the film screening of ’The Courageous Heart of Irena Sendler’. 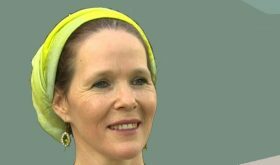 The story of Irena Sendler, a social worker who was part of the Polish underground during World War II and was arrested by the Nazis for saving the lives of nearly 2,500 Jewish children by smuggling them out of the Warsaw ghetto. 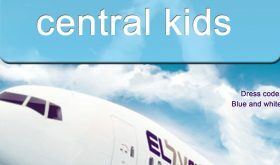 Call the Shul Office on 020 7580 1355 for venue details.